Service points offer your customers an improved experience by selecting the location where the shipment is delivered. Make sure your Shopify is connected to your SendCloud account correctly. After this is done, visit the settings page of the shop in SendCloud. The screen as shown below appears. When checking on Service point, you will see all your available carriers. Choose the carriers that you would like to enable to your customers. 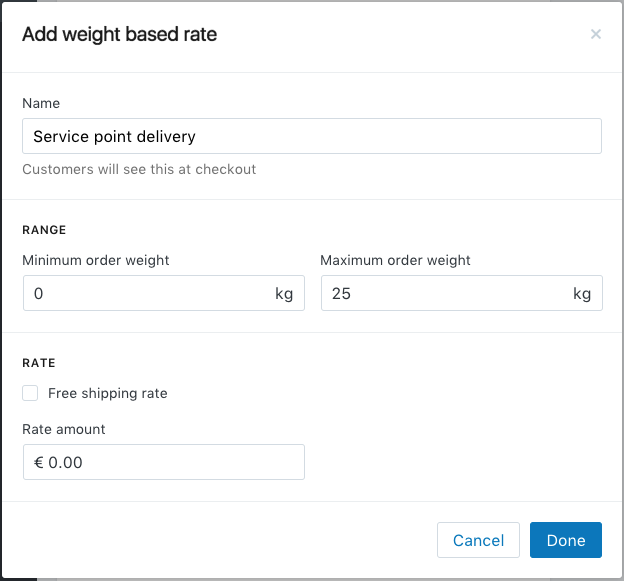 Now you have to set up the shipping method within your Shopify account. This needs to be setup via your shop's back office. 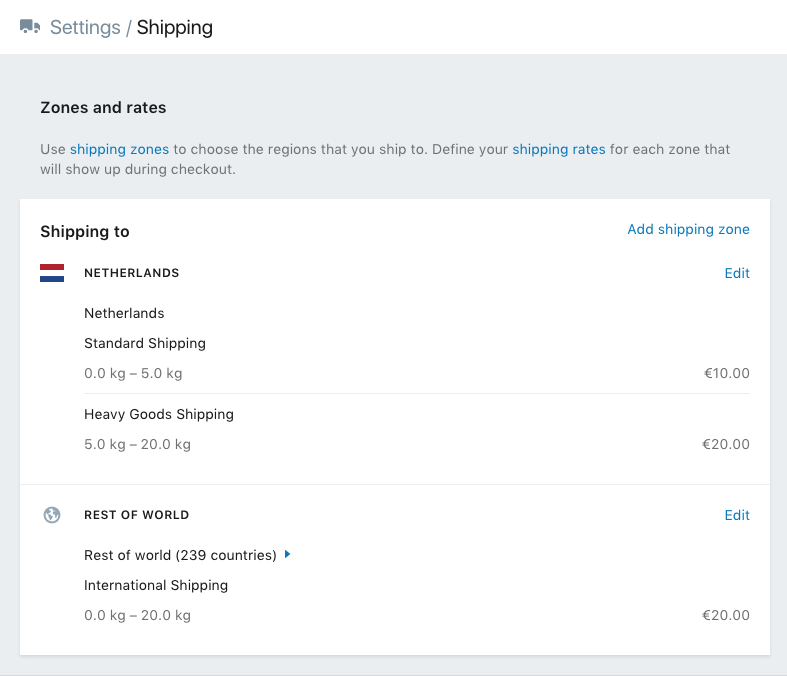 First go to "Shipping methods" on the settings page, as shown below. 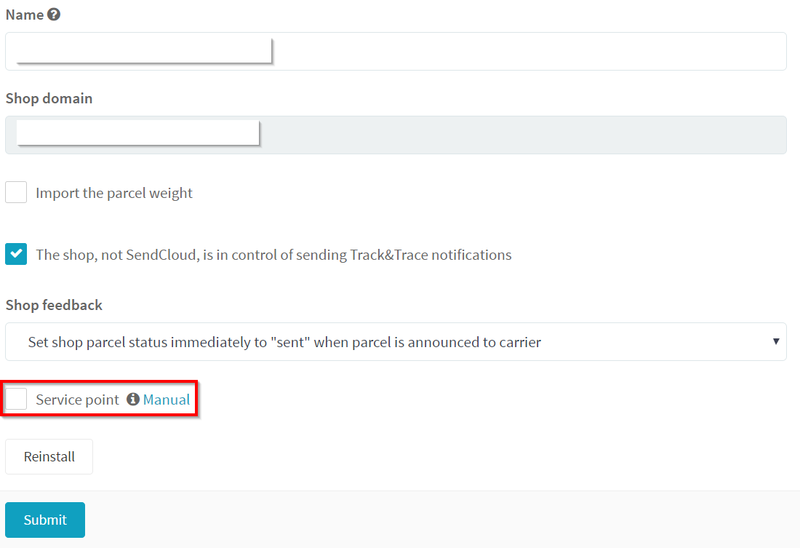 Then add a shipping method on the Shipping Zone that you want to enable the service point with names as described above. When your customer is in the checkout procedure they get the option to choose between the shipping methods you set up in the back office. One of these methods should be the "service point delivery" method. 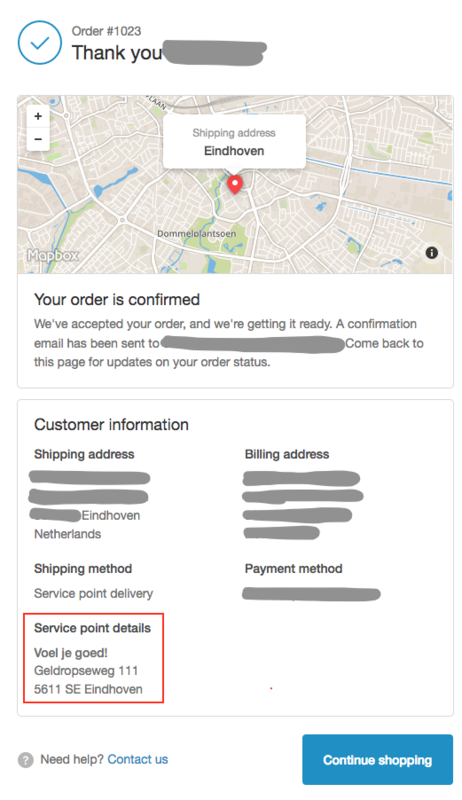 After the checkout on the thanks page, if the customer has selected the proper shipping method a button will appear offering them the option to select a service point: a map will be shown with locations of service points nearby.